Olmos & Reynolds Law Group, LLP represents immigrants before the United States Citizenship and Immigration Services, U.S. Consulates overseas, Immigration Courts, Board of Immigration Appeals, Federal Appeals Courts and California State Courts in criminal matters. 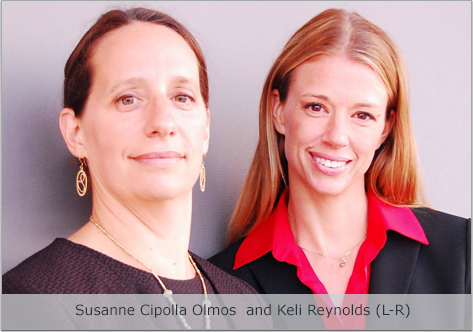 Drawing on a combined twenty years of experience, Susanne Cipolla Olmos and Keli Reynolds have established a client-centered law practice committed to justice, effective representation and practical results. Susanne Cipolla Olmos has been an Immigration attorney since June 2002, representing clients before the Immigration Courts, Board of Immigration Appeals, and the Department of Homeland Security in Los Angeles, California. Keli Reynolds is a founding partner of Olmos & Reynolds Law Group, LLP. For nearly a decade, Ms. Reynolds has provided legal representation to immigrants before the United States Citizenship and Immigration Services, U.S. Consulates Overseas, U.S. Immigration Courts and California Criminal Courts.